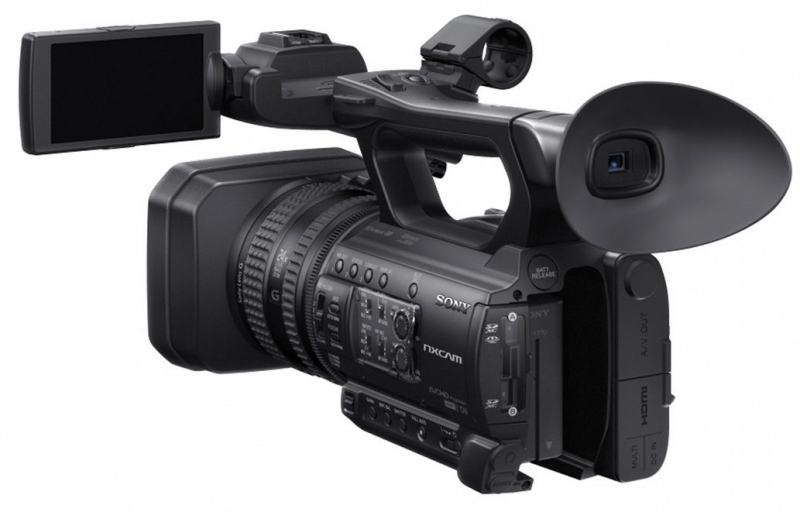 The Sony HXR-NX100 is a camcorder geared towards professional photographers and videographers for recording events, seminars, lectures and even interviews. This handheld camcorder has features that can be attributed to its adaptability, high-quality performance and ease-of-use. 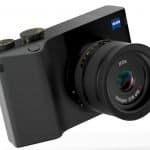 This affordable and compact full HD camera belongs to the small sensor camera NXCAM line from Sony. The sensor is the 1.0-type with a set of manual controls, along with three independent manual control rings. 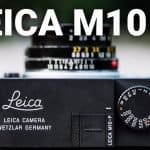 As for the lens, this camera has an integrated zoom lens and a Sony G lens with 12x optical zoom range as well as a 24x Clear Image Zoom feature. The body is not too big nor small, just enough to leave space for numerous buttons on one side of the camera for auto function and shutter, among others. All is packed in a compact yet sturdy body. Designed to be an entry level professional camcorder, this camera is perfect for enthusiasts looking to invest in low-cost yet versatile equipment. 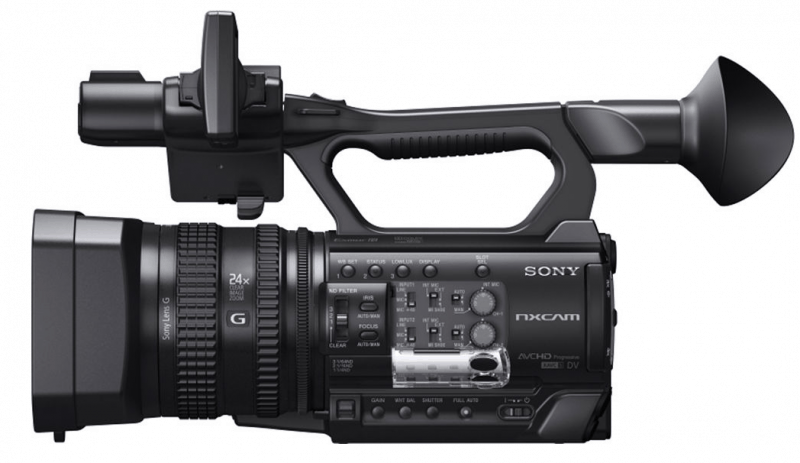 The Sony HXR-NX100 has a compact chassis that has been designed ergonomically for easy handling and control. Its size is ideal for mobility shooting and can be operated by a person single-handedly. The body of this handheld camcorder is designed with a 1.0 type Exmor R CMOS sensor with 14.2 million effective pixels. This sensor which is also backside illuminated has low light sensitivity since it is capable of allowing more light to come in. Depth of field is also affected by the 1.0-type sensor while the G lens is a fixed and wide-angled type of 12x 29mm, with the optical zoom can reach up to 24x with Clear Image Zoom. It also has a Digital Extender function which can increase the range at up to 48x. As for the three manual rings located at the lens, they are effective in coming up with smoother focusing, iris control and zooming. These rings also have another application, that is, to enable full-auto mode or maximum creative control manually. This camcorder has an ND Filter function and comes with built-in filters. There are four ND filter position options and the camera makes use of the AVCHD 2.0 codec for recording Full HD videos at 1920×1080 resolution. It also allows slow motion and quick motion recording, 2x and 60x, respectively. These are on top of the capability of the equipment for standard definition DV recording. Meanwhile, there are also two card slots available, for SDHC/SDXC cards and the other one, for both Memory Stick Pro Duo and SDHC/SDXC cards. The two media slots can be used for both simultaneous or relay modes in terms of recording. The first mode allows for recording in both cards at the same time while the second mode allows recording from one card to the next for expanded recording. For easy access to the modes, there are two start/stop buttons found in camera. One is in the body and the other one in the grip. For viewing subject and shooting scenes, the NX100 has an electronic viewfinder which is a 0.24 type with 1550k dots and complemented by a 3.5” 1550K dots display. Another feature is the hot shoe that is multifunctional that allows connection between audio accessories without the need for cables. 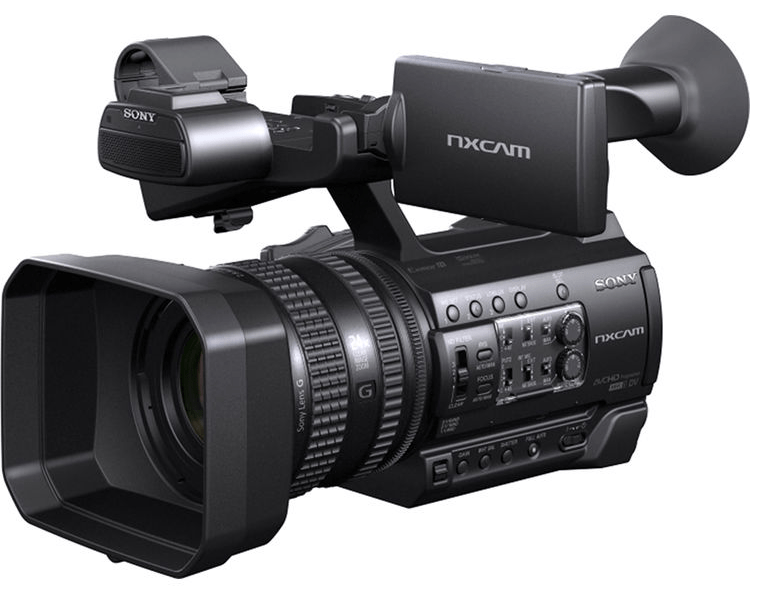 While 4K recording is not offered, this camcorder can record AVCHD and DV that are perfect for conventional workflow. Moreover, this equipment has XVAVC S 50Mbps that yields better image quality. Battery time, on the other hand can be for 345 minutes to 445 minutes for recording and playback, respectively. Other features include a monaural speaker output, HDMI, audio and video outputs as well as a DC jack. 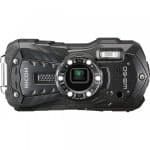 The HXR-NX100 is an entry-level professional camera that is compact, portable and affordable. It also has a long battery life that can last more than eight hours. For its category and price, there are dual XLR audio inputs and built-in omni-directional microphone that are appealing features. The price is also one of the positives of this camcorder, along with its easy-to-use functions. As for the setbacks of buying this camcorder, it lacks 4K recording capability and other professional features such as timecode in/out and SDI. There is also a slight issue on its slowest zoom speed because it is still a bit fast. For its price, the features, including size and weight makes the Sony HXR-NX100 a good investment. It takes high quality videos and works even in low light. It is a camera with no frills but with decent stabilization. Overall, this is a good and controllable HD camcorder that is priced sensibly. LCD Screen 3.5″-type (8.8 cm), Approx. 1.56 M dots. Audio Recording Linear PCM 2ch (48 kHz 16-bit) in XAVC S and DV mode. Dolby Digital 2ch (48 kHz 16-bit) in AVCHD mode. Built-in LCD Monitor 3.5″-type LCD, Approx. 1.56 M dots. Viewfinder 0.24″-type LCD, Approx. 1.56 M dots.